“Wonder Woman 1984,” the sequel to the 2017 hit, “Wonder Woman,” has been pushed back from next November to June 2020. Warner Bros. said it’s because the first “Wonder Woman” saw “tremendous success” during the summer. But recent movies, especially “Black Panther,” have proven that movies can succeed at the box office outside of the summer. The sequel to the 2017 superhero hit “Wonder Woman” has been pushed back seven months. 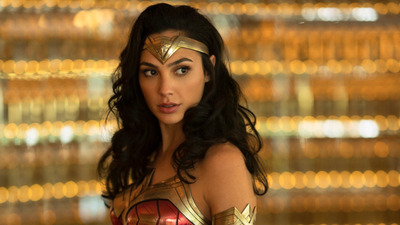 “Wonder Woman 1984” was originally scheduled to be released in November 2019, but Wonder Woman herself Gal Gadot announced on Twitter on Monday that the movie will now open on June 5, 2020. The messaging between Gadot and Goldstein is very consistent. The first “Wonder Woman” was released on June 2, 2017, meaning the sequel will come to theatres almost exactly three years later. It grossed over $US821 million worldwide. But a November release wouldn’t have doomed “Wonder Woman 1984.” Recent movies, particularly “Black Panther,” have proven that movies can be hugely successful outside of the traditional summer season when blockbusters are usually released. “Black Panther” was released in February, but remains the highest-grossing movie in the US this year and made over $US1.3 billion worldwide. Before that, “Deadpool” was released in February 2016 and made over $US783 million worldwide. Other movies like “Get Out,” “A Quiet Place,” “Logan,” “The Nun,” and “Halloween” have been successful outside of summer. But it seems Warner Bros. doesn’t want to take that chance. When it saw a June 2020 release open, it pounced, even if fans will have to wait another seven months to see Wonder Woman again. In the meantime, Warner Bros. will release “Aquaman” this December, “Shazam!” in April, and “Joker” next October.